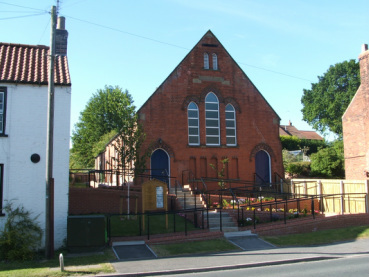 Sunday Services: 9.30am Morning Worship and Sunday Club, with coffee to follow. There are occasional Evening Services at 6.30pm. A loop system is available for hearing aid users. Our schoolroom is available for private hire. It is carpeted and comes with use of a modern clean kitchen + toilet facility. Suitable uses include children’s parties, discussion groups, small classes / demonstrations. Could YOU make use of this village facility? Children meet in the schoolroom on the first Sunday in the month for breakfast and fun, joining the congregation in church for the last hymn. Biscuits and drinks follow! An open invitation is extended to all children in the village to join in. for young people in years 5-9. Snacks, games, crafts, socialising and fun!